Being a workaholic is no longer a badge of honor. It's a crutch used by countless men and women to avoid real, meaningful work. Being a workaholic is no longer a badge of honor. It's a crutch used to avoid real work without feeling bad about it. Workaholism also helps us hide from the guilt we'd experience when we wittingly do things that we know aren't productive. Constant work FEELS productive but with just a small amount of reflection, we can see the truth. Workaholism isn't productive at all. It can be argued that those doing "half the work" are actually much smarter than those that work night and day with only slightly more to show for it. Many people who "work less" than their peers achieve far superior results with less burnout and more time to spend doing the things that are meaningful to them. The people working less are probably getting paid more "fairly" right? Due to diminishing marginal returns, doubling our work load doesn't double our earnings or output. According to a study published last year by John Pencavel of Stanford University, "Employee output falls sharply after a 50-hour work-week, and falls off a cliff after 55 hours—so much so that someone who puts in 70 hours produces nothing more with those extra 15 hours." Many failed business owners were workaholics. They buried themselves in their work to avoid harder decisions. This is a modern day tragedy. As much as we respect the blue collar, overtime loving work ethic that our country was founded on (let me emphasize was), it is not enough on its own to achieve amazing levels of success. Real meaningful work requires: Purpose, Focus and Planning. Hard work without these is like running a marathon without markers and directions. You can't make up for your lack of directions simply by running longer than your competition. Here are some of the common lazy practices displayed by many workaholics. The goal isn't to do a lot of things, but to do the right things. The things that really "push the needle forward." Do you ever skip stretching before you exercise? It's similar to this. You're skipping the boring stuff and just diving into what's more interesting and stimulating in the present moment. Without priorities, efficiency goes to the toilet. Also, setting priorities means nothing if we don't abide by them. I touch more on how to set priorities that we can measure and monitor in lazy habit number 5. All tasks are not created equally. This is why people create huge to-do lists and check off most of the items but see little growth. There may be one task that far outweighs the others in terms of value. It is rarely the one that is most immediately gratifying. Your job is to find out what this task is and do it first. One of my favorite books was written around this concept. If you want to read it, it is called "The One Thing" by Gary Keller. Of the thousands of productivity books on the market, it is among the cream of the crop. There is no pride in being a "yes" man. 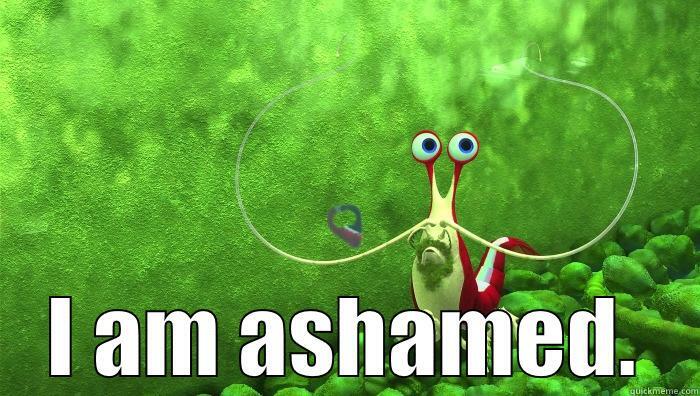 Our society has for some reason decided to praise those who say "yes" to everything. 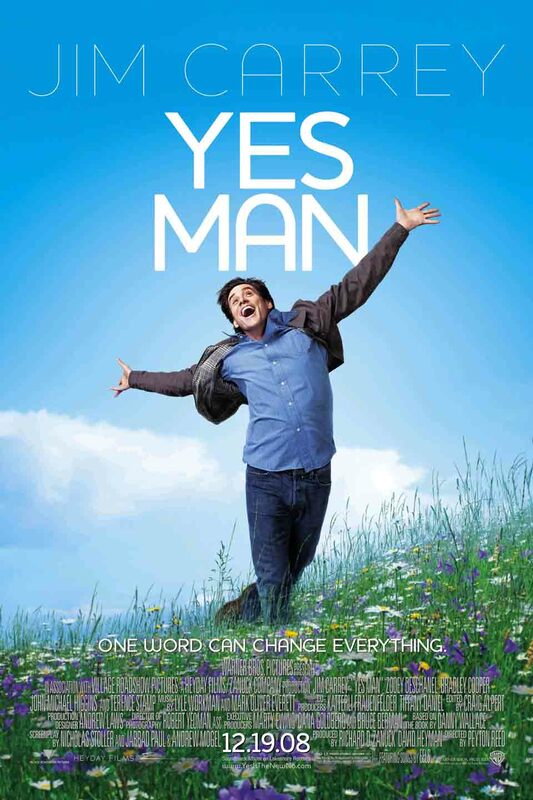 Watch the 2008 comedy "Yes Man" with Jim Carrey if you don't believe me. Part of this is certainly because we like when people say yes to us! It has nothing to do with the success of the person who is constantly saying it. Ironically, saying "no" is so much more difficult than saying yes. From the outside it appears that saying no lets someone down and closes a door to an opportunity. Saying no may temporarily let someone down and it very well might close doors to some opportunities BUT saying yes to one thing always means saying no to something else. Most people don't see things this way. This concept was beaten into my brain while completing my economics degree at the University of West Georgia. "A benefit that a person could have received, but gave up, to take another course of action." In other words, saying "yes" to one things means saying "no" to another. For example, if you commit to a project that takes 4 hours of your time each week, you're saying "no" to other uses of that 4 hours. Last time I checked, time was the most finite resource we have. Treat it that way and you'll find saying "no" is much easier. There is no glory in being a "yes" man. You will eventually be forced to say "no" down the road anyway and the odds of the best opportunities appearing in order are slim to none. There is no glory in being a "yes" man. You'll eventually be forced to say "no" down the road and the odds of the best opportunities appearing in order are slim to none. I have a simple motto that I learned from Tim Ferriss in his book "Tools of Titans"
"If it's not a 'HELL YES' then it's a 'HELL NO'"
I have had people say this to me when applying to work with EntreResource and my reply is, "well, we can fix that." Multitasking is an illusion. It is the avoidance of deep work. "Deep work" was defined by Cal Newport in his book Deep Work: Rules for Focused Success in a Distracted World. The process of deep work involves disciplined focus to the most important, highest value tasks. The ability to practice deep work is extremely difficult. Working 4 hours in a deep, focused state is much more difficult than working 12-14 hour days that are loaded with distractions, cheap "to do list wins" and slavery to every shiny distraction that inevitably arises. I thought I was a great multitasker but the success I was having was completely in spite of myself rather than my perceived multitasking super power. Don't let the fact that you have achieved some success while multitasking fool you into thinking that multitasking is a good idea. This is like getting a six pack while smoking and thinking that smoking had something positive to do with it. I'm not just blowing smoke either. Trust me, I'd LOVE to be able to multitask and justify it as productive. Here is an infographic on the perils of multitasking I borrowed from Mashable. There is a free app for mobile and desktop that I found in 2017 that helps me stay focused and avoid multitasking and the endless distractions we receive each day. It's called Forrest and it makes sure that you don't leave the app during set times of focus. I highly recommend and it's free so there are no excuses for not checking it out! "Why would I pay someone to do something that I can do better?!?!" Here is the truth about delegating. To continue growing your business you will inevitably need to trust others to make decisions without you and this is much harder than simply doing everything yourself. You need to focus 100% of your time on the things that you are best at and uniquely qualified to do. This means that you will lose money upfront while you're training people to replace you. This also means you will spend more time upfront to get things done at lesser quality than if you did them yourself. Trust me when I say that this is the best investment you can make in the future growth of your business. The greatest businesses in the world are ran by people who understand this concept and are fearless when it comes to investing in people and services that expand their businesses without involving them in the process. "I want to make more money next year." "I want to lose weight next year." These are the typical new years resolutions you see each year. Not surprisingly, the people who set goals like this end up setting them year after year as predictably as the ball dropping every 365 days. Truly successful people have goals that they strive for and they aren't afraid to ask themselves "is what I'm doing right now getting me towards my goal?" They take inventory of what they are doing and make sure that every task is focused on the quantifiable end. Often the answer requires a shift that isn't comfortable. The most productive people use what are called S.M.A.R.T. goals. Smart goal: "Lose 15 lbs. by January 21st by exercising 5 days a week and adopting the Whole 30 diet/lifestyle." Which of these is more meaningful? Failing to set SMART goals means you have no direction or baseline for measuring success. This usually means you give up because you haven't defined what you're even doing! It could be argued that without SMART goals you never really even start. There is a definite correlation between workaholism and health. The worse the workaholic, the worse their health and fitness seem to be. Workaholics tend to become so wrapped up in their work that they ignore the things that don't add directly to their bottom line. They ignore the things that add to their waistlines. "If I reach all of my business goals but am unhealthy, will I consider that a win?" The benefits of eating healthy and exercising go beyond simply feeling and looking better. Exercise helps improve our ability to learn by increasing something called BDNF (brain derived neurotrophic factor). This improves our ability to think more clearly. We need to stop looking at the time and energy involved in eating healthy and getting regular exercise as net negatives on other areas of our lives in terms of productivity. COMMON VIEWPOINT: "I can't spend extra hours each week in the gym or shopping, prepping and cooking healthy meals! I could be making money in those hours and I already have no time to spare!" Eating healthy and getting exercise should be making the hours you do work much more effective. If you don't believe me, I recommend you try it. Also, eating healthy doesn't need to consume a lot of time and you can get a great workout right from home with a program like P90X. Workaholism has many similarities to other addictions like drugs and alcohol. Some people use work to avoid issues in their personal lives. They use work to avoid dealing with things that aren't as easy to fix as growing their professional careers. Ask yourself from time to time, "am I working too much to avoid something else in my life?"